I just don’t think you can have too many little black dresses. 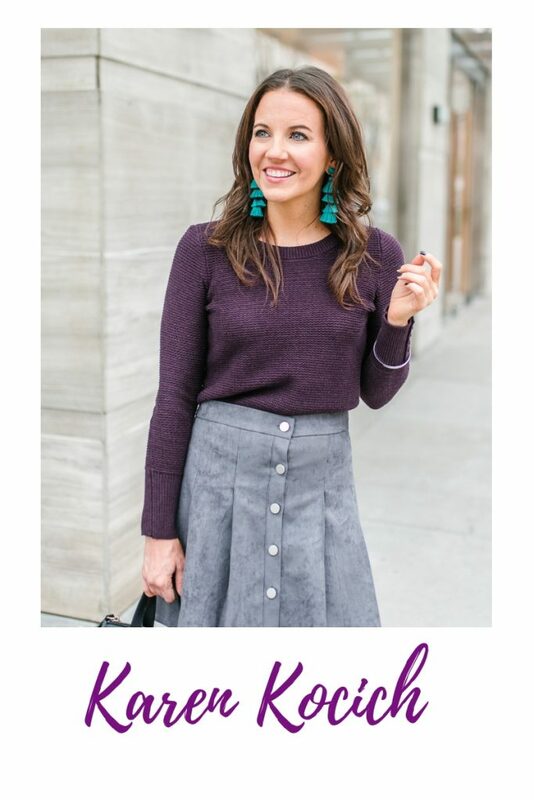 Depending on the style, they are perfect for date night, girl’s night out, weddings, work, happy hour, a trip to the theater, I could go on for a while. For a fun office look, I love my little black shift dress. I purchased this one a few years ago from Asos, but I linked a couple similar items above. I could probably wear this style of dress to work every day and be happy. Since the dress is sleeveless, it transitions seasons easily. I would wear this outfit in spring, summer, and early fall. When the weather cools off, this dress pairs perfectly with a cardigan and boots. I love this dress paired with a long cardigan that reaches almost the same length of the dress. I love that the dress has no real shape, but the material is thick so it still holds a structure. Shift dresses are some of the most comfortable wear to work dresses, but the structure really helps this one keep that professional feel. When you have a black dress, your accessory options are endless! It is no lie that I love carrying colorful purses, and they all mix perfectly with a black dress. The jewelry options are also pretty endless too depending on your neckline. This one has a slight turtleneck collar and works perfect with long pendant necklaces and wide bib necklaces. If there was one dress you must have in your closet, a little black shift dress should definitely be up for consideration!! PS – Two of my favorite gold jewelry items are currently on sale!! I marked them above as on sale!! Happy Shopping and Happy Wednesday! We are halfway to the weekend! I agree that you can never have enough LBD, so why is it that I don’t have any?? I need to change that 🙂 Looking fab in your LBD! 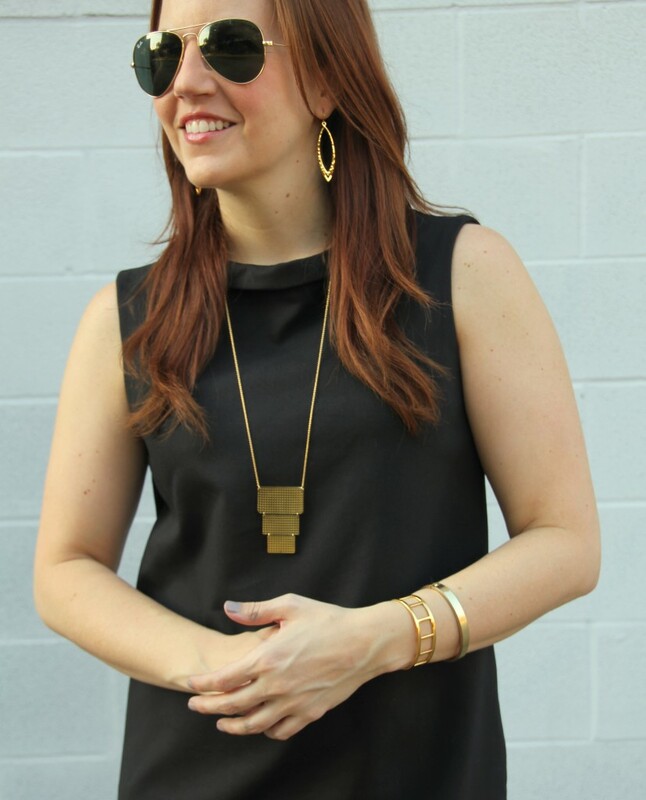 Totally agree about the LBD…..and loving that pop of color! What a lovely look! A simple shift dress is a favorite of mine as well. It’s so classic. You look so pretty! This a a great take on the LBD with a twist. Love the gold necklace and that fabulous green bag! Standout style! So classy! Adore the pop of green!!! You look stunning!! Love this classic look, this is the perfect LBD!